As with many great Sasquatch announcements, everything is in place for this endeavor-- as soon as they get some money. There has been a string of news sources reacting to the initial Reuters Article about a group of 100 Chinese Scientist looking for assistance in manpower and money in search of the Yeren (The Chinese Bigfoot). Craig Woolheater of Cryptomundo and TBRC has announced it as, "the new dawn of hominid research in China". We have posted every unique article on the subject including news sources like the initial Reuters article, China's Xinua, USA This Week, And even CNN. (USA This Week; 10/10/2010) Scientists in China's Hubei Province have announced that they would soon launch a new research to track down the elusive creature named Bigfoot. The Hubei Wild Man Research Association (HWMRA) has asked researchers from outside to join the group's search in the Shennongjia forest region, reported Xinhua. Talking to Xinhua, Luo Baosheng, vice president of the HWMRA, said that the organization is comprised of more than 100 scientists and explorers, who are looking for the Bigfoot, an ape-like animal, for years. "Most importantly, we want the team members to be devoted, as there will be a lot of hard work in the process," Luo told Xinhua. Team members are also expected to be in good physical health and preferably 25 to 40 years of age, he added. The Bigfoot is also known as "Yeren" or "Wild Man" in China and its search will cost at least USD 1.5 million, said Wang Shancai, a member of the the group and an archaeologist with the Hubei Provincial Institute of Cultural Relics and Archaeology. The group has approached various companies and institutions to seek funding for their research, Wang added. "Unlike expeditions three decades ago, the better technological support will help us get closer to solving the mystery. We are now working together with the China Three Gorges University to develop long-time energy-supply devices to support cameras that will be installed in the ape man's possible habitat," noted Wang. Chinese researchers have been searching for the Bigfoot since the 1970s and the search for Yeti, another name for the creature, is not restricted to China only. People in the United States have been looking for Yeti, also known as Sasquatch. (CNN 10/09/2010) -- Wanted: Patient person. Physically fit, with basic knowledge of biology. Able to take pictures. Scientists in China's Hubei Province have announced they are looking for additional members for its special team tasked with tracking down the creature. The Hubei Wild Man Research Association (HWMRA) is recruiting researchers internationally to join the group's search in the Shennongjia forest region, according to state-run news agency Xinhua. Luo Baosheng, vice president of the HWMRA, told Xinhua that the organization is comprised of more than 100 scientists and explorers who have been chasing the ape-like animal for years. The last time a organized search took place was in the early 1980s, Xinhua reported Saturday. "Most importantly, we want the team members to be devoted, as there will be a lot of hard work in the process," Luo told Xinhua. Team members are also expected to be in good physical health and preferably 25 to 40 years of age, he added. The search for the phantom, known as the "Yeren" or "Wild Man" in China, will cost at least $1.5 million U.S. dollars, according to Wang Shancai, a member of the the group and an archaeologist with the Hubei Provincial Institute of Cultural Relics and Archaeology. The group is seeking funding from various companies and institutions, Wang said. Chinese researchers have been searching since the 1970s. There have been more than 400 reported sightings of the half-man, half-ape in the Shennongjia area. In the past, explorers have found inconclusive evidence that researchers claimed to be proof of Bigfoot's existence, including hair, footprints, excrement and a sleeping nest, Xinhua reported. Witnesses say the creature walks upright like a human but is much taller, and is covered in hair head-to-toe. The search for Yeti is not restricted to China. People in the United States have been looking for years. The Bigfoot Field Researchers Organization (BFRO) claims it's the oldest and largest organization with the goal of finding Bigfoot, also known as Sasquatch. The organization relies heavily on eyewitness reports from residents. According to BFRO's website, the animal began to be referred to as Bigfoot by journalists in the 1950s after a spat of sightings reported in northern California. WUHAN, Oct. 9 (Xinhua) -- A "Bigfoot" research association in central China's Hubei Province said Saturday it plans to launch a global recruitment drive seeking members of a high-profile search team for the ape-like creature in the Shennongjia Forest Region. The association, made up of more than 100 scientists and explorers, is hoping the expedition could end the long-running debate on the existence of the legendary half-human, half-ape figure, nearly 30 years after the last organized expedition to seek the mysterious beast in the early 1980s, said Luo Baosheng, vice president of the Hubei Wild Man Research Association. Altogether more than 400 people have claimed to have seen Bigfoot in the Shennongjia area, but no hard evidence has been found to prove its existence. According to witnesses, the creature walks upright, is more than 2 meters tall as an adult and has a gray, red or black hairy body. The team members should be between 25 and 40 years old. With good physical health, they should also have a basic knowledge of biology and know how to use a camera, said Luo. Preference would be given to those who have outdoor experience. "Most importantly, we want the team members to be devoted, as there will be a lot a hard work in the process," he said. However, there is no specific timetable yet for the expedition as the association is still in talks with several companies and institutions about the funding of the expedition which will cost at least 10 million yuan (about 1.5 million U.S. dollars), said Wang Shancai, an archaeologist with the Hubei Provincial Institute of Cultural Relics and Archaeology, who is also a member of the association. Located deep in the remote mountains in Hubei, Shennongjia Nature Reserve has long been rumored to be the home of the elusive creature known in China as the "Yeren," or "Wild Man." China organized three high-profile scientific expeditions for Bigfoot through the 1970s and 1980s. Researchers found hair, a footprint, excrement and a sleeping nest that were said to be Bigfoot's, but none of which could conclusively prove its existence. 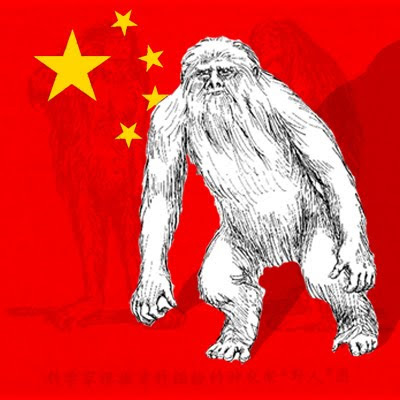 (Reuters) - A group of Chinese scientists and explorers is looking for international help to mount a new search for the country's answer to Bigfoot, known locally as the "Yeren," or "wild man." Over the years, more than 400 people have claimed sightings of the half-man, half-ape Yeren in a remote, mountainous area of the central province of Hubei, state news agency Xinhua said on Saturday. Expeditions in the 1970s and 1980s yielded hair, a footprint, excrement and a sleeping nest suspected of belonging to the Yeren, but there has been no conclusive proof, the report added. Witnesses describe a creature that walks upright, is more than 2 metres (6 ft 7 in) tall and with grey, red or black hair all over its body, Xinhua said. Now the Hubei Wild Man Research Association is looking for volunteers from around the world to join them on another expedition to look for the Yeren. "We want the team members to be devoted, as there will be a lot a hard work in the process," Luo Baosheng, vice president of the group, told Xinhua. But the team will have to come up with about 10 million yuan ($1.50 million) first, and is talking to companies and other bodies to secure the funding, so there is no timetable yet for when they may start, the report added. China is no stranger to cryptozoology. Tales abound of mysterious, Loch Ness monster-like creatures living in lakes in remote parts of the country. Tibetans have also long talked about the existence of the Yeti, or "Abominable Snowman," in the high mountains of their snowy homeland.